This is my review of Masha Tupitsyn’s Love Dog for Pop Matters. He comes in for the third time, after he’s told her that she will see him in her dreams, and asks her why her ears are red? I think: why is this whole movie red? And green. Green tint­ed (made green) and truly green (the jungle, the trees). Green like Robert Bresson’s Lancelot du lac and Hitchcock’s Vertigo. Red like Marnie. But parts of Days of Being Wild are shot like The Third Man, only all the shadows on the narrow streets are green. Outside, the angles belong to that noir. It’s overwhelming to see these two colors together like this in one movie after ev­erything they have meant to me the past few months. Maybe always. She’s embarrassed. Embarrassed because she is excited, so she can’t look at him. I like people, no love people, who take looking and being looked at this seriously. Because 1) I love Days of Being Wild and 2) I too love people who take looking and being looked at this seriously. Never a hello, a good evening, a happy New Year. Never a thank you. Never any talk. Never any need to talk. Everything always silent, distant. It’s a family of stone, petrified so deeply it’s impenetrable. Every day we try to kill one another, to kill. Not only do we not talk to one another, we don’t even look at one another. When you’re being looked at you can’t look. To look is to feel curious, to be interested, to lower yourself. No one you look at is worth it. Looking is always demeaning. I always stumble over those last four sentences because it seems to contain contradictory ideas about looking. I’ve been trying to write a post about looking for a long time now but I have no ideas about looking, only collected thoughts and impressions from various sources. Something about how people are meant to look now, at themselves and each other, seems impoverished and demeaning, in a way. Now people are meant to glance at each other with speed and efficiency, and sum up, very quickly, whether they want to pursue the gaze or not. You are not even worth looking at in the mirror, sometimes. Or you must earn your own gaze, of yourself, by working hard to present a seamless, attractive self. Nicholas Mirzoeff has written about looking and slavery, and Jonathan Beller on the labour of looking and how it is embedded in the history of racism and colonialism. So you can’t think about looking without thinking about power. Sometimes you wish for the mutual look to be an equaliser but it never is. I don’t know. Circling around the idea of looking, of how we’re trained to look, about what Mirzoeff says about it, that “the right to look is not about merely seeing”; where he thinks about “a time in which my claim to the right to look is met by your willingness to be seen”. Today, while out on the streets, I told myself not to fall into my habitual pose, which is to stare at the ground or at my feet or off into the distance, but to look at faces, to offer this silent gesture of something in what I think now was just an attempt to feel less alone while among so many people. But it’s hard(er) now to return the glance or to initiate one. The faces are opaque; or rather, faces have become obscure screens we can’t afford to waste eyeballs on. Also, the ever present threat of misogyny that makes looking such a fraught affair for a woman who just wants to claim her right to look. 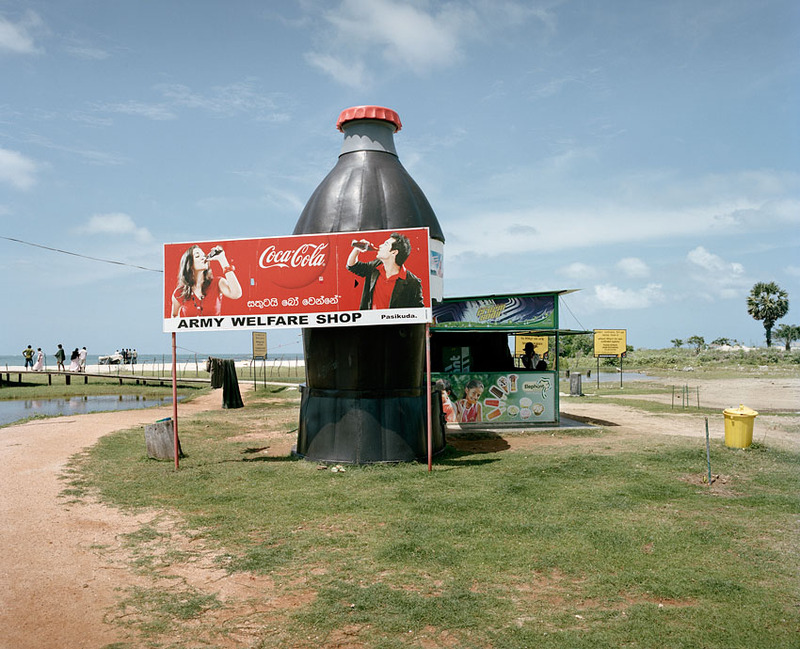 It’s a perfect picture, I think, because the war is over but the army apparatus is ubiquitous in most of the places we visited in Sri Lanka—almost as prevalent as the Coca-Cola signs. You are currently browsing the photography category at The Blog of Disquiet.